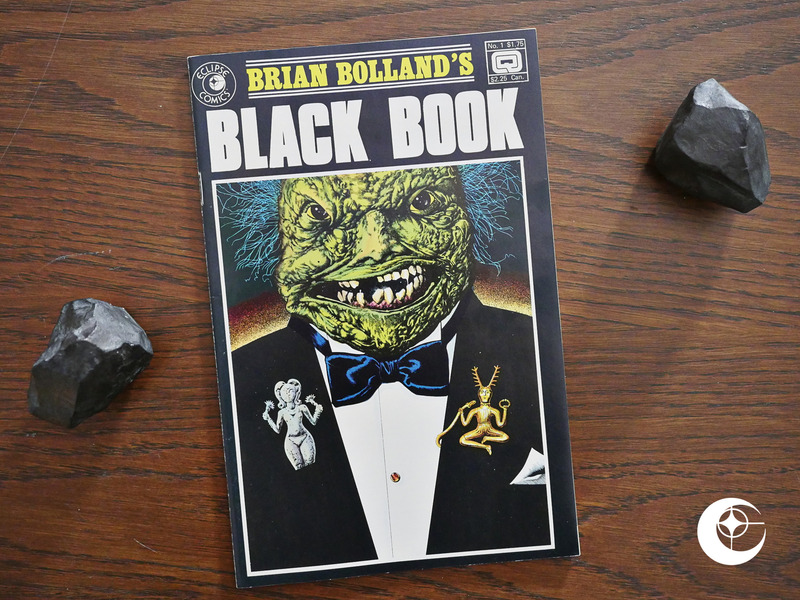 Brian Bolland’s Black Book (1985) #1 by Brian Bolland et al. 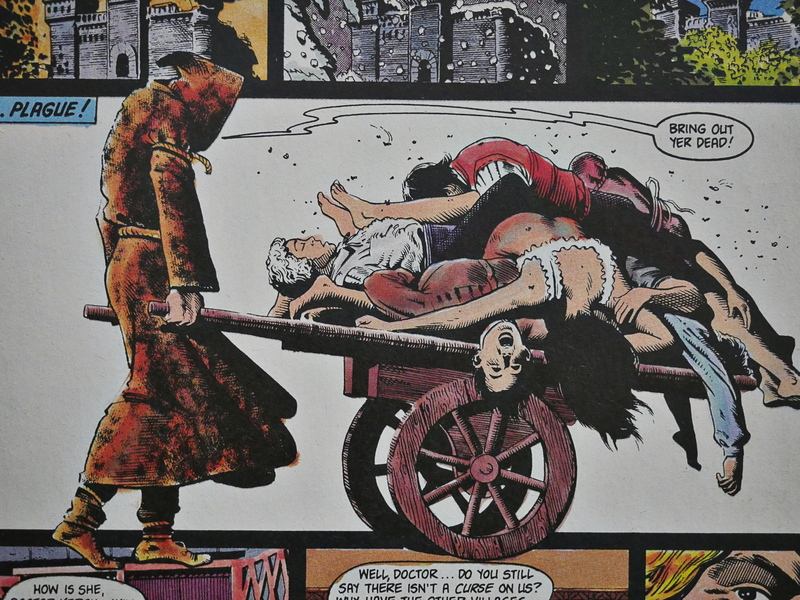 As with the previous book in this blog series, this is also early work from a then-currently hot artist: Brian Bolland. 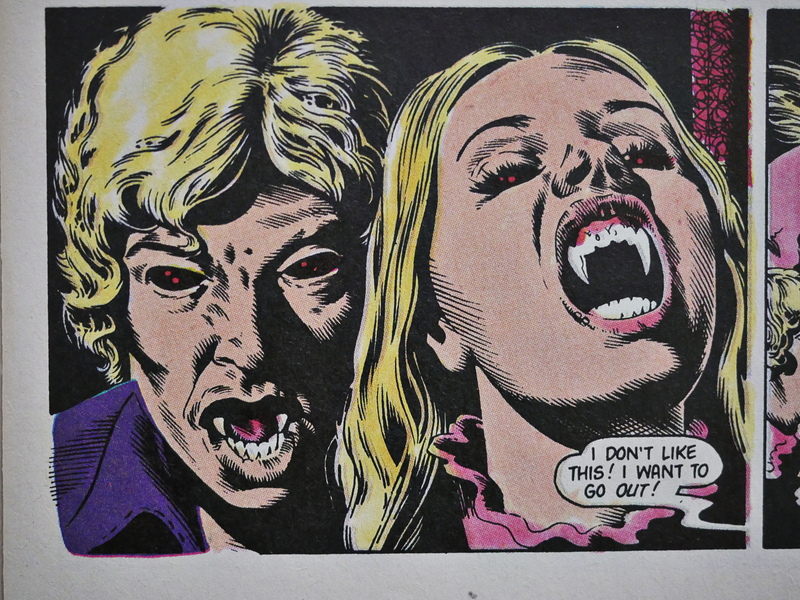 For most of 1985, all new series from Eclipse were basically reprints of early horror work from hot artists, or books that had arrived from the UK via Pacific Comics (i.e., Miracleman). This one is both: It’s put together by Dez Skinn/Quality, and it’s a reprint of old horror comics. 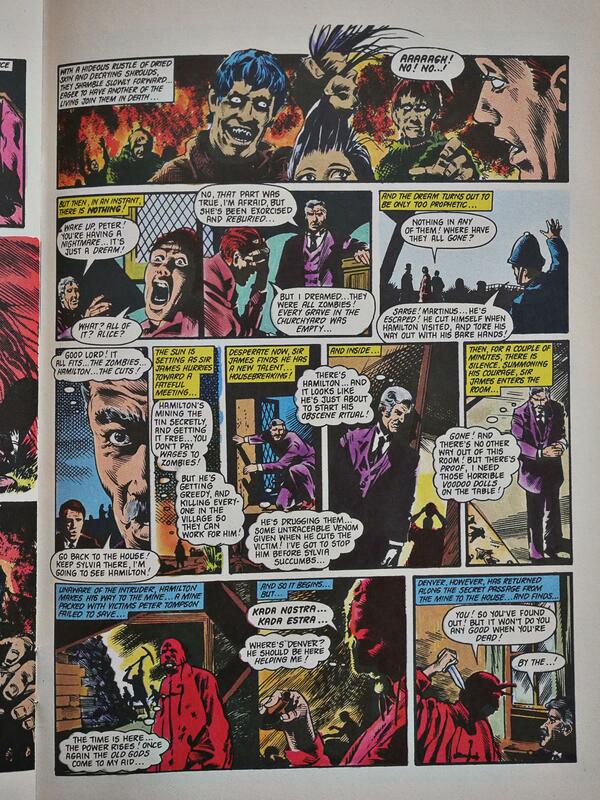 And as with the John Bolton book, Eclipse neglects to specify when and where these comics were originally published, but it seems like they’re from the British House of Hammer magazine, and created around 1977. The first story is written by Steve Parkhouse, and is quite entertaining. Bolland was an accomplished artist (at least in the inking dept.) even then, but hadn’t yet quite perfected his inhumanly, er, perfect inking style. Still pretty neat. 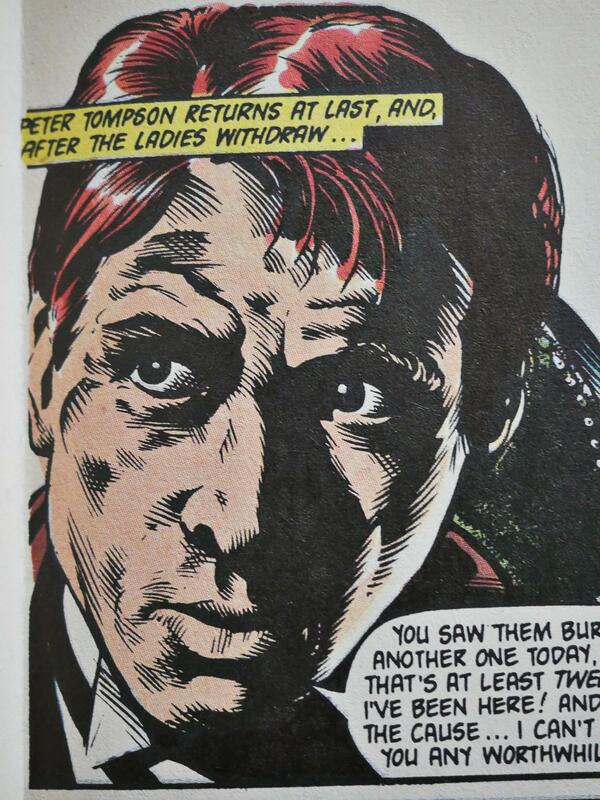 The second story is written by Steve Moore and the artwork is co-credited to Trevor Goring. Still looks quite Bollandish, right? The story, unfortunately, is unreadable codswallop. Some of this material was reprinted in “The art of Brian Bolland”, released some years back. 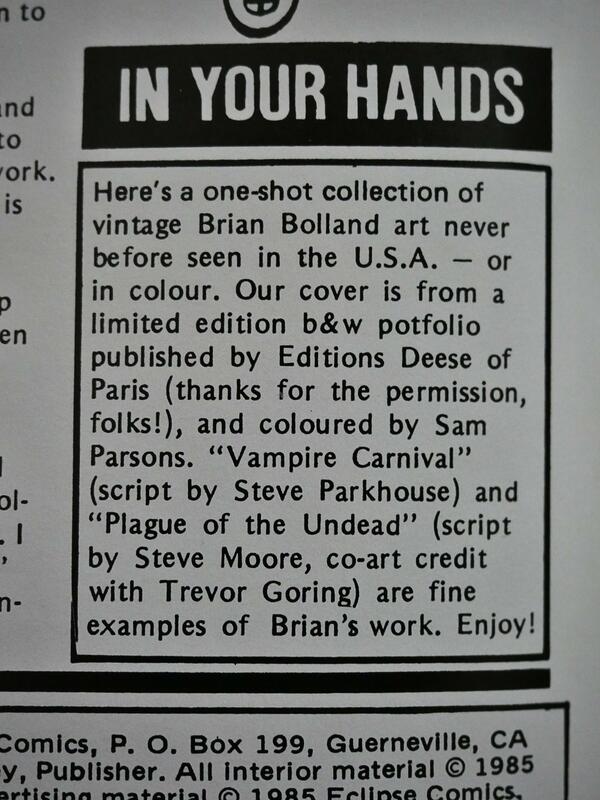 Brian Bolland, of course, went on to great fame, especially for the work he did with Alan Moore at DC Comics. The new color (this being an American rewvorking of British material) only occasionally obscures the artwork, an improvement over earlier Eclipse mpackagings (Nightmares, for instance) that were as readable as the worst World Color press misregister. In the film, that attraction is best visualized in sequences showing the vampires performing magical circus acts With a grace that is simultaneously sinister and fairylike, aided and abetted by a soundtrack and camera speed that accentuated the villains’ otherworldly nature. Bolland’s version Of the carnival (scripted by Steve Parkhouse) by comparison comes across flat and uninteresting, well-rendered but stiff. Hm… OK… the reviewer mostly sticks to detailing facts about the adapted films, which isn’t very interesting.